3.3 out of 5 based on 15 bloggers and 2 commenters. 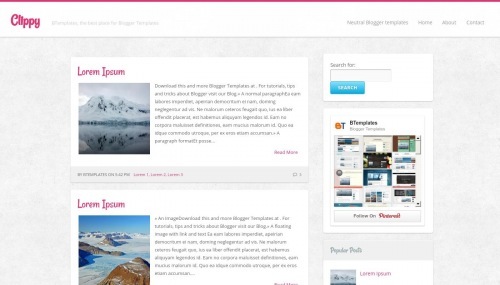 Clippy is a free blogger template adapted from WordPress with 2 columns, responsive design, right sidebar, fresh look, minimalist, footer columns, posts thumbnails, a background pattern, well designed threaded comments, cute design, girly looking, simple look and neutral colors. Excellent template for blogs about art, crafts or fashion. Hi, could you please explain me how to change the title font?